This superb adaptation captures all the magic and charm of everyone’s favorite story. The Darling children love to hear of Peter Pan’s adventures during his visits through the open window of the nursery. Then one night after Nana has taken his shadow and Wendy has sewn it back on, Peter Pan and Tinker Bell whisk the children off to Neverland to be part of the adventures. Wendy, John and Michael become friends with the Lost Boys and Princess Tiger Lily and Wendy becomes everyone’s mother. 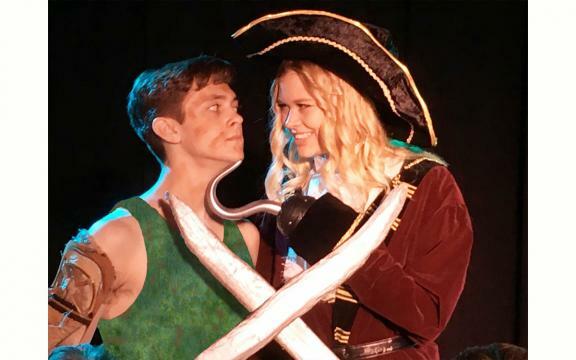 When the evil Captain Hook captures Wendy and the Lost Boys, Peter Pan comes to their rescue. 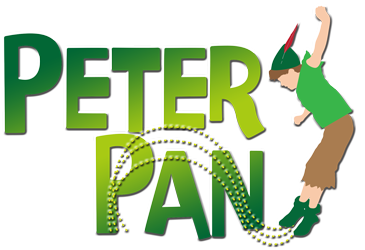 Together with the ticking crocodile, Peter Pan puts Captain Hook in his place and returns the Darling children to their home. Read more...Staging is surprisingly simple with no flying required and extensive production notes to make the multiple sets easy to create. Note: This play is not available for sale, distribution or production in the United Kingdom.